A white man wearing all dark clothing allegedly entered the compound in Saylorsburg, Pennsylvania. A gunshot fired by security personnel on Wednesday drove off a man who had entered the Pennsylvania compound of exiled Turkish cleric Fethullah Gulen, according to police. A white man dressed in dark clothing entered the compound in Saylorsburg, Pennsylvania, according to a Pennsylvania State Police report. The man was believed to be armed, a spokesman for Gulen told Reuters. The police were called and security personnel fired a warning shot and the man ran off, according to authorities. Troopers searched the area but were unable to locate the intruder. The incident comes days after Ibrahim Kalin, a spokesman for Turkish President Recep Tayyip Erdogan, said Turkey's National Intelligence Organization would launch overseas "operations" against supporters of Gulen. "They will feel Turkey breathing down their neck," Kalin told reporters in Ankara. 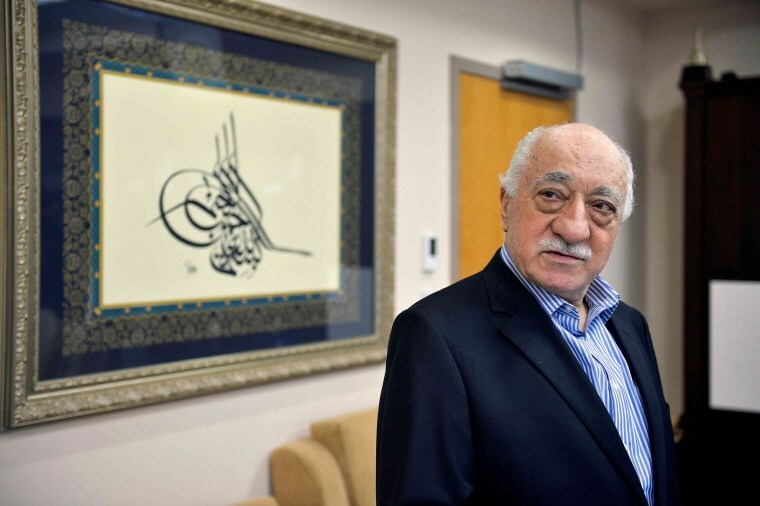 Gulen, 77, has become a contentious figure after Erdogan accused him of orchestrating an attempted military coup in 2016 from his Pennsylvania compound. Gulen denounced the coup attempt and denied he had a hand in its inspiration. "I condemn, in the strongest terms, the attempted military coup in Turkey," he said at the time. United States has refused requests from Turkey to extradite Gulen.